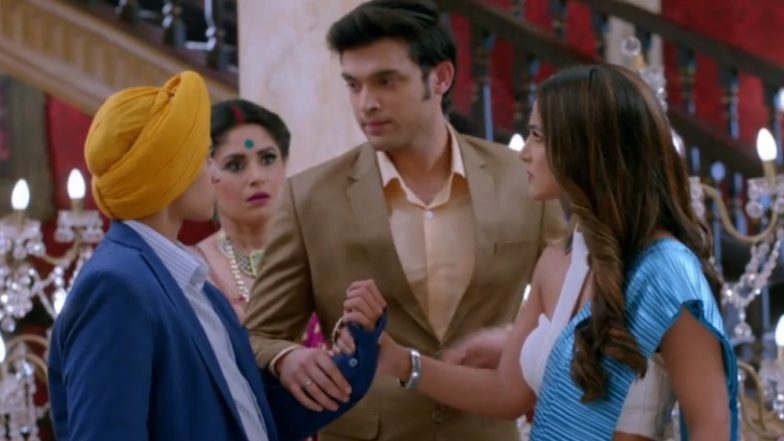 Today’s episode of Kasautii Zindagii Kay 2 starts with Anurag (Parth Samthaan) telling the income tax office that he feels like hugging him and hugs tightly, Anurag knows that it is Prerna (Erica Fernandes). Anurag tells Prerna that her moustache has come up, and asks her for this paper she did all this, Prerna pushes him and tells that she will never give the papers to him and runs out from the room. There Komolika (Hina Khan) gets Chaubeji’s call, he tells that the Income Tax Raid is not real and that they are fake. Komolika is sure that this all is done by Prerna. As Prerna and all take the papers and try to run, Komolika stops them and tells to write down what all they are taking with them before leaving. There Anurag somehow opens the door and comes down. Komolika takes out Prerna’s fake moustache, Mohini and Nivedita are shocked to see this. Komolika says that now her game is over and takes the papers from Prerna. They both argue with each other. Nivedita calls them middle-class people and says all sorts of things to insult them. Komolika says that she was very lenient with them and tries to drag her out of the house, just then Anurag comes and tells to stop it and that they should not go down to their level. Anurag says that now Prerna is defeated as her plan has been failed. There Anupam is tensed as why did Prerna and Shivani not come till now. Seeing Komolika very angry, Anurag tries to make her understand and forget what is happened as he wants Komolika to cool down so she cannot plan anything against Prerna. Anurag tells Komolika to think about him and not Prerna. Prerna and Shivani come home and tells Veena that they were caught and narrates what all happened. Veena tells her that now she has to give an answer to what they have done to her and tells Prerna to be strong and fight with them. There Nivedita searches for Anupam and not finding him calls him, he says he is out and will reach home soon. Meanwhile, Mohini is watching Moloy’s photo and gets emotional, just then she sees Prerna coming into the house. Nivedita taunts her as for how shameless she is as she is back after all this happened. Anurag sees Prerna back and is happy. There Veena is talking with her friend who is telling she will bring a good proposal for Shivani, Veena says she just wants her daughters to settle in life and be happy. There Prerna seeing Anurag smiling asks why he is laughing so much, he says that she was looking beautiful in a sardarji getup. In the precap, Prerna says that Komolika cannot take her place in Anurag’s life and she will not let it happen, Anurag asks her whether she is jealous.